Earlier this week Cindy posted her awesome shopping trip to Target where she scored summer clearance items at 90% off! Some of her finds included Pillsbury Pink Lemonade Cake Mix, Cookie Mix and Frosting on clearance for just $0.15-$0.18 each. Wow! What a steal. I made Cake Pops for my sister’s baby shower recently and they were a hit! Not only are Cake Pops super cute and make any party table look adorable, it’s such a more fun way to eat cake and they are loved by kids and adults alike! I used these vintage straws for my Cake Pop Sticks and they worked great! Great price too for the amount you’re getting! 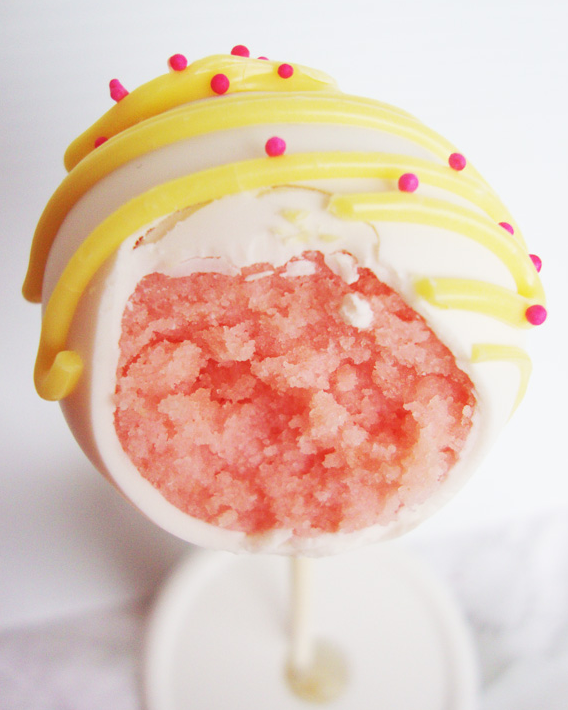 Head on over to JustHelen for an awesome Pink Lemonade Cake Pop Recipe!